Picky Eaters Course P.E.A.S. - MOMables® - Good Food. Plan on it! STOP MAKING MULTIPLE MEALS AND GET YOUR KIDS TO EAT NEW FOODS! I couldn’t believe it. She spit out her food out all over the table. She took a bite of her broccoli and held it in her mouth. I tried to encourage her, “I know you don’t like it, but it’s good for you and it’s important to try new things” But she kept holding it in her mouth, refusing to swallow it. And then, she threw up everywhere. 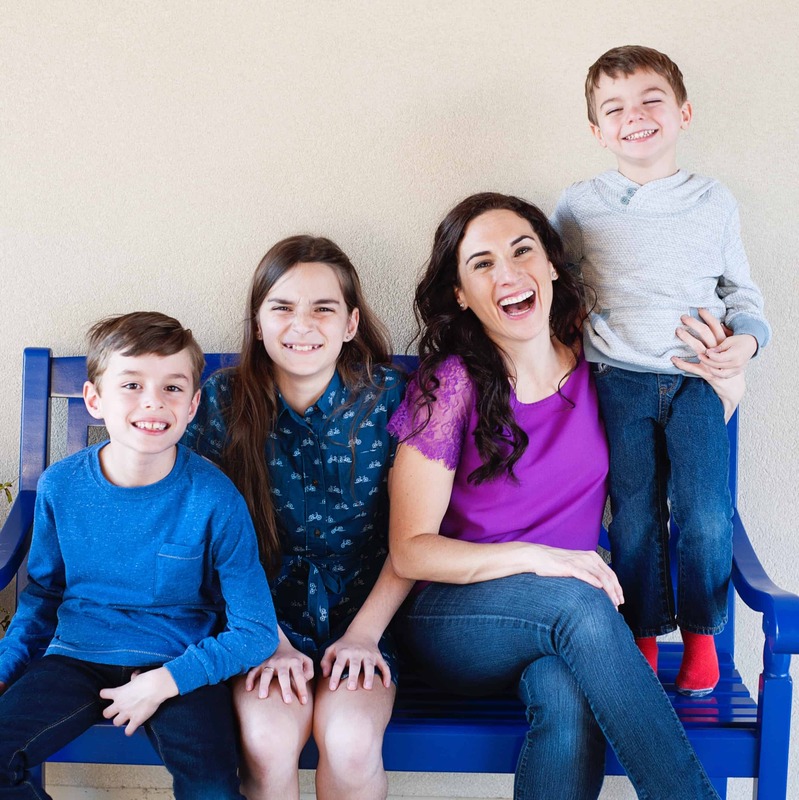 Hi, I’m Laura Fuentes, and I’m sharing this story with you today because I’m a mom of 3 kids, and my first, Sofia, was an extremely picky eater. Who am I kidding? My second was a picky eater, too. And my third? Eats most things. The only difference? By the time I had him I knew how to deal with it, but I’m getting ahead of myself. It was all so stressful. At the time, I was a new parent with two kids under three. I just wanted the best for my Sofia. I wanted her to eat nutritious foods so she could grow up healthy. But she just wouldn't cooperate. I felt like I tried everything, too. When Picky Eating is No Longer a "Stage"
Years went by and no one outgrew this stage on their own. I kept researching. I read books. I hired experts. I talked to friends. And that’s when I realized that everything out there about “picky eating” was bad advice. Didn't Help With My "Picky Eater Problem"
I was desperate, and I kept trying everything. Failed Tactic #1: The “One Bite Rule. (If you haven’t heard about this, it’s when you encourage your child to “take just one bite”).It didn’t work. What was I thinking? If she didn’t want to eat a tiny steamed piece of broccoli, why would one bite change her mind? Failed Tactic #2: Gentle Encouragement. But her face told the whole story. She’d puff up her chest, scrunch her nose, and shake her head… NO. So, I forced her to eat it. And that’s when she threw it up everywhere. “See, you upset her!” he said. I know he didn’t mean it, but I got so mad at him. Am I a bad mom because I want my first child to eat vegetables? They’re healthy for her! She needs the nutrition! The dinner table became a battlefield filled with tears, tantrums, and arguments. First, me and my children would fight. Then, I would fight with my husband. 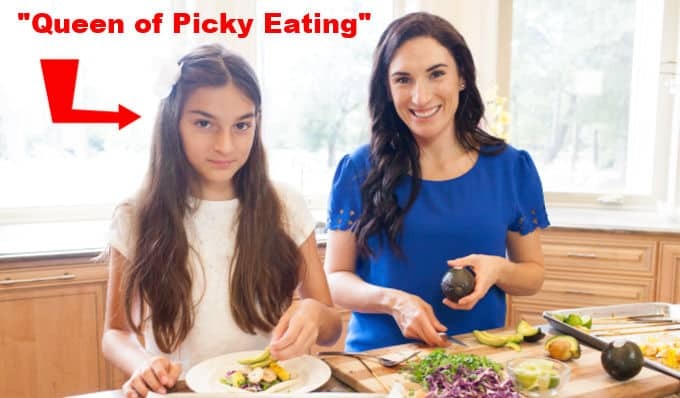 Years went by and no one outgrew the “stage” of picky eating on their own… no matter how many health foods I placed in front of them… no matter how many times I offered them… no matter how “involved” my kids got with cooking. As I kept doing research, I realized that almost no one knew what the heck they were talking about! I used to like cooking for my family, but the dinner table became a battlefield between the kids and adults, and between my husband and me. And I was making multiple meals for my family - I was was completely exhausted. Something NEEDED to change. And fast. Our family (and my sanity) depended on it. If I didn’t see it with my own eyes, I wouldn’t have believed it, but it set me on a path where I eventually figured out the solution to “picky eating” with children. Fast forward to today, I have 3 awesome kids, and Sofia? She eats broccoli by the pound. And even though my next child was an extremely picky eater, by the time I had my third, I knew what worked and what didn’t work. I was at a birthday party. It was Sofia’s friend. She’s my oldest child. Her best friend, Casey, grabbed a carrot, dipped it into ranch dressing, and ate it. Then, like magic, I saw her do the same thing. She grabbed a carrot. She dipped it into ranch dressing. She ate the whole thing. And OMG with the other veggies on the platter! She would refuse to eat vegetables at home, and yet there she was. Eating vegetables. A lot of them. Holy smokes I couldn’t believe what just happened. I was practically jumping up and down -so I took a photo. But I noticed something else, too. ...but the pressure is just as stressful for your child as it is for you. As annoying as they are, they don’t want to disappoint you. Or upset you. But they do want to feel like they have some semblance of control over their life and the big problem? Most parents approach “fixing” picky eating the same way I did it. Now that I’ve had 3 kids I’ve figured out the secret to fixing the “Picky Eater Problem,” and it feels amazing. Now I could finally enjoy dinner with my family again. Even though it seems so simple, it’s not easy. There’s always a lot of debate around these sorts of issues because every kid in every house is different… and it’s important to prepare yourself for each issue… before it happens. One of my friends had a child who refused to eat spaghetti. The worst part? She discovered this the hard way… one day she was emptying out the washing machine and discovered spaghetti everywhere. It turned out that her kid had hid the spaghetti in his pocket and put the clothing in the hamper. So, I decided to take everything I learned about “picky eating” and put it all into an easy-to-follow course. I know how painful having a Picky Eater can be, and this is the best way I know how to help. (Heck. It might even work on your husband, too)! transform your mealtimes with strategies and tools that work! The Picky Eater's Course (P.E.A.S. for short) is an easy to follow, organized system to tackle all areas of picky eating so you can start teaching your kids to like new foods and make one meal the whole family will enjoy. P.E.A.S. combines the best strategies I learned over the years from working with experts to solve my picky eater problems and the most successful when tested by our MOMables Community Members. Downloadable audio files for on-the-go learning at your convenience. 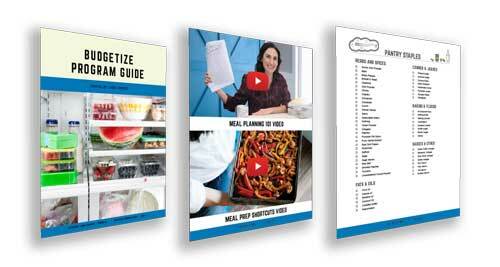 Printable recipes, worksheets, and guides to help you implement the lessons. Designed with a practical "Learn & Implement" style to immediately help you with your picky eaters. When you join P.E.A.S. you'll get the full Picky Eater's Course, video lessons, downloadable audio files, worksheet, recipes, bonus materials, and more. ​I'll share with you the basic principles to help you establish successful mealtimes at home. I'll also teach you the secret to getting your child to be more eager to try new foods. This is perfect for people that feel like mealtimes are chaotic, the kids are never hungry but always want a snack. You'll also learn what's keeping your child from trying new things and you'll learn how to eliminate bribes and negotiating with your kids so the table is more peaceful. If dinner battles begin hours before the food makes it to the table, you're going to love an entire module dedicated to dinnertime struggles. From helping you select kid-friendly recipes with flavors your kids will actually want to eat, to learning how to introduce new foods without hiding it. With six videos, worksheets, audio files, and meal planner, and recipes, this dinnertime section is packs everything you need to transform this meal. Of course, you'll learn the secrets to making one meal for the whole family and eliminate short order cooking. Kids never hungry for breakfast? Learn how to make breakfast exciting again -and portable- without sugary convenience foods. Wasted school lunches will be a thing of the past when you learn how to make appealing balanced meals fast without packaged foods. You'll also have lots of ideas on hand with our nutritious kid-friendly recipes. The most requested meal by picky eaters will turn into a balanced meal option without sabotaging dinner. This module builds up on the course materials you've learned and teaches you how to apply the strategies when your child is eating away from home. All video and audio lessons includes real-life examples; because honest talk is often the best way to learn new tricks. I'm also not shy about sharing my mistakes, and I've made many, so you don't have to hold back your mealtime success. The strategies you'll lean in the Picky Eaters Course will help you establish successful meals day-after-day for weeks and years after you finish the course. You'll learn how to get back on track when things go south, when family members don't want to get on board with the changes or sabotage your efforts, and more. The P.E.A.S. Course comes with life-long access to anything we publish in the future, updates, and bonuses. The course is designed to establish positive mealtime experiences for all children even when food allergies and special needs are present. You'll learn how to reinforce positive behavior and encourage the openness to try new foods. And even if you're making multiple meals because of food allergies, you'll learn the strategies to making a single meal for the whole family inside of P.E.A.S. 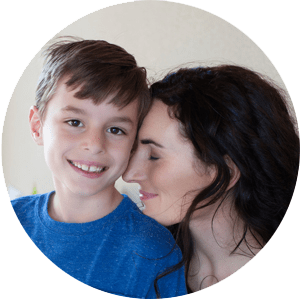 The MOMables' Picky Eater Course Videos + Audio Materials: watch and learn the principles that help you fix and establish successful mealtimes. Take learning on-the-go with the audio files. Inside, you'll find my simple but effective strategies that will transform your picky eaters -not available anywhere else. Picky Eater Recipes: I've got you covered with easy and nutritious breakfast, lunch, dinner, and snack recipes so you can feel better about the foods your child eats. 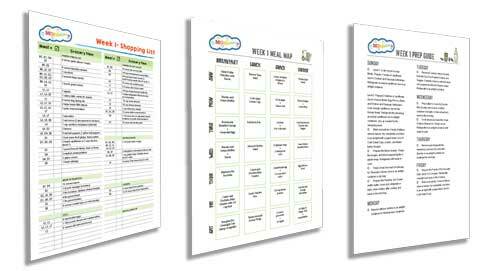 In addition to the recipes, you'll find mealtime conversation starters to engage your kids at dinner and printables to help you get organized in the kitchen. BONUS Materials: you'll immediately receive access to 3 bonus videos to make mealtimes more fun and enjoyable for the kids; including ways to help you get kids "involved" without making a mess in the kitchen. Note: when you enroll in the 6-month payment plan, you're required to make all 6 payments as stated in the agreement. What Members Are Saying About P.E.A.S. I was tired of reading the same useless advice online. Then, I bought P.E.A.S. and I went through the course materials. They are detailed and filled with strategies I can actually implement. Now I know how long it takes for my kids to grow an appetite, making them more eager to try new foods at mealtime. I STOPPED BEING A SHORT ORDER COOK"
Everyone used to eat at different times, never at the table, and the kitchen was a disaster. My kids were never hungry for meals and I resented mealtimes. Since PEAS, I now make one meal for the whole family and I have more time in the evenings with the kids because meals don't take forever. I didn't realize I was making my child feel bad about herself for not eating. School lunches would come home uneaten and now I know why. I learned how to talk to my child about food in a way that doesn't still blame and shame. I'm a much better parent now. The Flavor Profile Strategy has been a GAME CHANGER! Now, I no longer pick recipes on a whim to introduce new foods, I know EXACTLY how to do it in a way my picky eaters like. We all know how difficult it can be to make sure our kids get all the nutrition they need. Most parents put a lot of pressure on themselves, especially at dinner, to get their kids to eat more vegetables. But, what if we could get our kids to eat a variety of nutritious foods throughout the day? With P.E.A.S., it's possible to do all that and more. 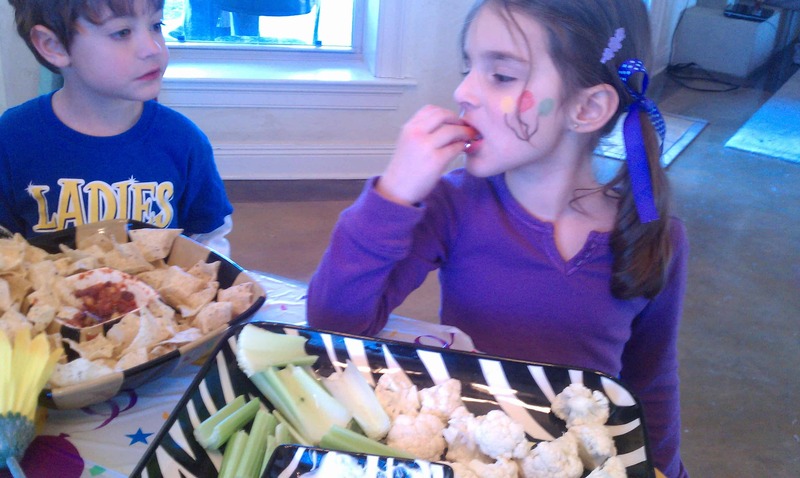 TEACH your kids life-long, healthy eating habits from an early age. Get your child to TRY NEW FOODS. ELIMINATE tantrums, negotiations, and episodes at the table when new foods are presented. LEARN how to introduce new foods without rejection. IMPORTANT NOTE: This course is not for you if you want a magic pill to "fix-things-fast." It will require prioritizing your time and set aside 30-45 minutes per week to watch the videos and work through the materials. You'll need to put in the effort of being consistent to implement what you'll learn. Must have the willingness to change the way things have always been done. The PEAS system is designed to make implementation as smooth as possible and you'll see long-term results if you put in the work. Four years ago, I subscribed to the MOMables' newsletter while looking for a homemade nugget recipe. Imagine my excitement when Laura asked me to try P.E.A.S. and now I know how to help my daughter try new foods. I have bad days where things don't go as planned, but I'm trying." I hope you join me, and the other MOMables members, in this 4-week journey. IS P.E.A.S. RIGHT FOR ME? Our kids deserve our help, but without the right tools, it's not always easy. 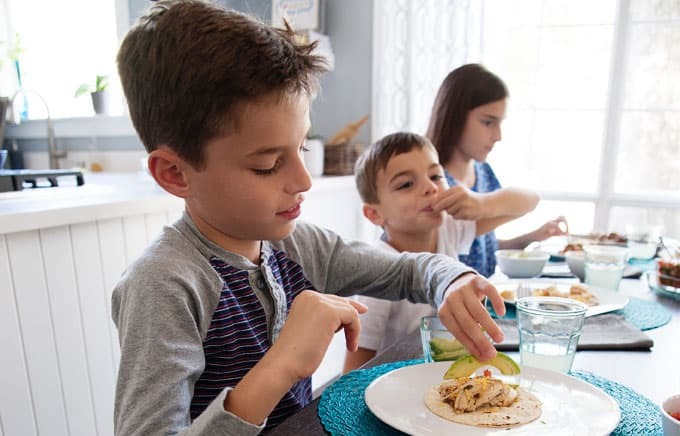 If you are at a loss of how to turn around your meals, change your picky eater's attitude towards new foods, and want to be part of a tribe of like-minded parents who also struggle with getting kids to "take a bite," you're in the right place. While there is no "magic pill", some members see results within the first week, while others take a little longer. Everyone's household and particular picky eating situation is different. my child has a medical condition, will this fix his picky eating? While the course offers no "medical" advice, I recommend you work with your medical professional while subscribing to this course. Much of what you'll learn is about what parents can do to help their child, how to set up a no-pressure environment, and creating positive lifelong habits. how much time does the course materials require from me? Each week you'll find 4-5 videos with a total watch time of approx. 20 minutes. Add another 10 minutes to print the supplemental materials, and the rest is up to you to implement. The course is designed to build on itself, is self-paced, and the access to the materials never expires. can you guarantee that my child will eat vegetables? We wish! What we can guarantee is that if you are willing to do the work, are consistent, and retain a positive attitude; you will see results. After all, we are all a work in progress. I have a picky 2 year old and picky 11 year old. Will the course work for me? The course is designed to create positive habits, transform meal times, and create a positive relationship with food for kids of all ages. While it's not age specific, younger kids might need assistance with plating foods. Our hope is that you have created a consistent no-pressure environment in which you are able to succeed at teaching your kids to taste and like new foods. Remember, the Facebook group will always be there as well as your access to the course materials. Right now, you might be thinking, "That sounds interesting, I'll join in the next round - whenever that is." Or perhaps you have a toddler, and you'd like to see if you could "just wait it out", hoping it's "just a phase." I totally get where you're coming from. That said, the truth is that waiting even "just a few months" is a long time -and we all know that the longer our children stick to their habits, the harder they are to break. I'll be perfectly honest. One of my biggest regrets is not getting the help I needed sooner, because by the time I did and began to see progress, I was filled with the inevitable "mom guilt." The fact that you've made it this far tells me that you are searching for a better solution for your family, and that you are willing to put in the work needed to improve your meal times. If you are not sure the techniques in the course will work for you, you can try it risk free for 14 days. What this means for you, is that you'll get the foundation of setting up mealtime and the dinnertime strategies. In the two weeks, you'll have enough time to try the techniques out; and of course, if there is absolutely nothing in the course that helps you with your picky eaters, all you have to do is contact our support team at help (at) momables.com and tell us where you are stuck. 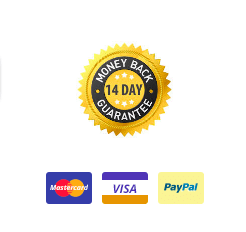 Refund requests within 14 days after purchase will be issued a FULL refund. By purchasing this course with the payment plan option you are agreeing to the terms of purchase, to pay $59 per month for 6 months. The information on this Web site is not intended to be a substitute for informed medical advice or care. You should not use this information to diagnose or treat any health problems or illnesses without consulting your pediatrician or family doctor. Please consult a doctor with any questions or concerns you might have regarding your or your child's feeding, speech language development or food allergies to receive appropriate care.